If you haven’t explored the family limited partnership recently, it might be a good time to do so. The FLP is a limited partnership that allows family members to own the limited interests. Different family members will invest in the FLP and take back interests proportionate to the capital invested. The limited partners of the FLP are not responsible for making any decisions about the assets. Assets; instead, they receive distributions or make capital contributions based solely on the decision of the general partner. 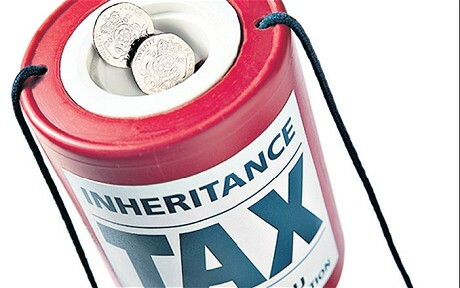 These can be useful estate planning tools, partly because of the many tax benefits. You might want to give some of your limited partnership interest in a FLP to a younger generation member. These gifts can be ideal for using up some of your lifetime exclusion and may, if structured properly, be a candidate for annual gifting. If this is something you’re considering, you should speak with your estate planning attorney sooner rather than later, partly because of potential conflicts. You should not be a participant or owner in the entity which is the general partner of the FLP. One of the more attractive reasons many choose the FLP is the protection it offers from creditors. If you are sued and a plaintiff gets a judgment against you, the plaintiff can seize any property owned by you. The creditor cannot get to the assets held by the FLP. Whatever property and cash is held by the FLP is not owned by you directly, and thus cannot be used to satisfy the debt against you. Transparency with your family is crucial. Be clear on who owns the business, who you envision as future owners and how are those decisions going to be made. Let’s say you have two sons. One’s been married three times and tends to not know his alcohol limits. The other has been married for a dozen years, is well into his mortgage and is financially responsible. No one needs to spell out the potential problems in this scenario. What you need to ensure, though, is that you’ve addressed it in its totality with your family. If you’re unsure, it might not be the best time to go into a family owned business. Let’s not forget the daily management considerations. Questions like who takes over when you aren’t there, will there be someone selected from outside the family and how much responsibility will this person have are all important questions that need answers. Ownership is one thing, but what about control? Who will have voting rights? Who, if anyone, will remain more of a silent partner? And asset protection? Capital gains tax considerations? Wealth preservation? Retirement options for employees? Lawsuits? Creditors? These are all important questions – not just for setting up a business, but for purposes of defining that business as you’re setting up your FLP (and determining things like irrevocable trusts as the partner), but you need to be thinking about it now. Finally, be sure you have a solid estate planning lawyer who can provide guidance and help ensure your family limited partnership is as solid and powerful as your family. To learn more, contact us today.